I love macarons! I love making them and I love eating them. My local grocery store had key limes the other day so I decided to make some macarons with them. I found a recipe on this blog . I made a couple of small changes that are noted in the recipe. 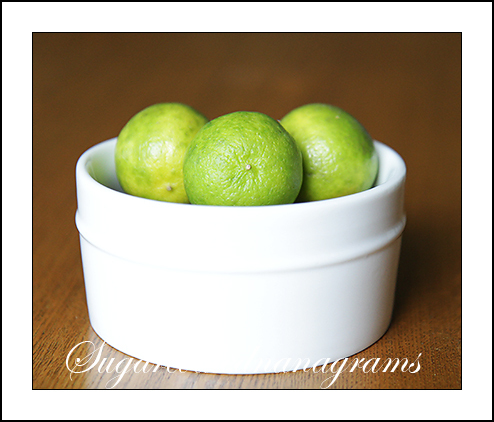 Key limes are smaller than other limes. Truthfully I cannot taste the difference so feel free to substitute regular limes for the key limes if you can’t get them where you live. They turned out really good. The addition of graham cracker crumbs in the filling adds some texture and a nice flavor. There have been a lot of social media posts recently on how difficult it is to make macarons. I wanted to take a minute to address some of the erroneous “rules” to successful macaron making to encourage you all to try your hand at making them. They are so good and very quick to make. You may read that you need to age your egg whites or let the macarons form a crust before baking them but I’m here to tell you that you don’t need to do either. I use pasteurized egg whites straight from the refrigerator and I don’t let them rest and crust before baking them. They really aren’t difficult at all once you get the hang of the macaronage (the mixing of the wet and dry ingredients). I did a little video to show you the process of mixing the wet and dry ingredients. 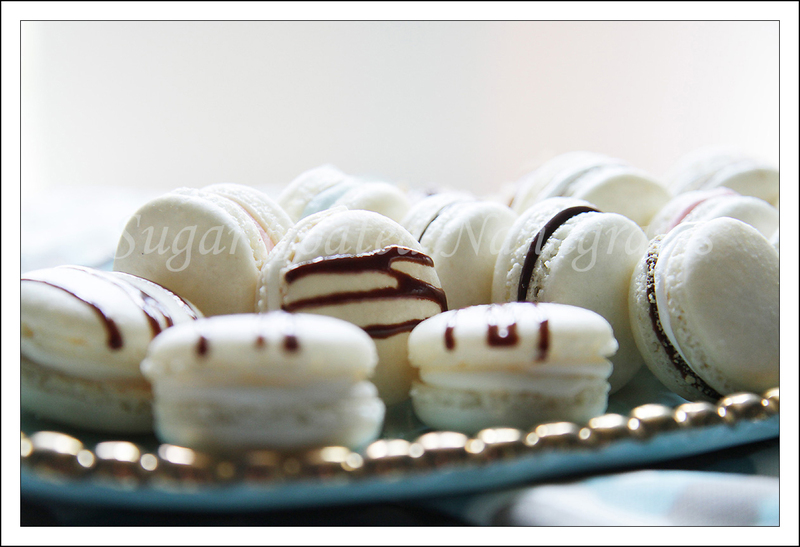 This blog post has tips that you may find helpful if this is your first time making macarons. Good luck and let me know you like them! Sift Almond Flour and Confectioners’ Sugar into a bowl and then whisk them together until they are well mixed. Put egg whites and granulated sugar into the bowl of your mixer. Start your mixer on medium (about 4 if using a KitchenAid) and beat for a few minutes. Gradually increase the speed to high and beat them until the meringue is stiff, glossy and almost dry. 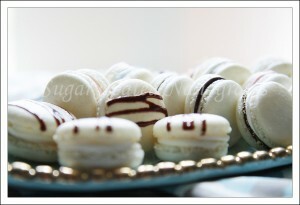 If you want colored macarons now is the time to add a gel food color. I don’t recommend liquid food coloring. Next, add all of the dry ingredients to the meringue. Fold with a rubber spatula until incorporated. You don’t need to be too gentle at this point. Once you have the wet and dry ingredients mixed together gently start the macaronage and mix gently until no white meringue is visible. If you watch my video, you will see that the motion to do this is to both fold and rub/smear the batter against the side of the bowl. Remember that macaronage (the French term for combining the ingredients) is about deflating the whites, so you don’t have to treat them too gently. Stir to deflate the egg whites until the batter is the consistency of lava and flows off your spatula. My video shows an example of the method I use to mix the batter. Bake at 315 degrees for about 15 minutes. All ovens are different and if you aren’t sure that your oven is accurate, you may want to check it with an oven thermometer. 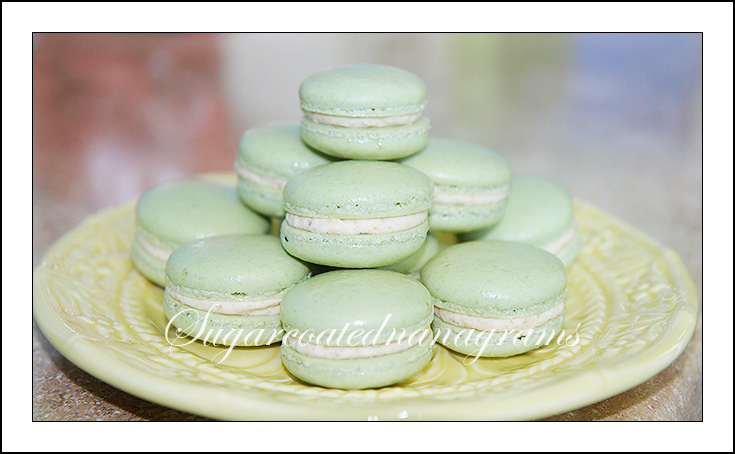 If you are anything like me you have been thinking about making Macarons for a long time. You have looked at a zillion recipes and have read how difficult they are, and how “accomplished” bakers find them almost impossible to make successfully. The one thing that made me (finally) stop reading and start baking was when my granddaughter asked if I knew how to make French Macarons. She had been to Paris and was introduced to the real thing. I had my work cut out for me! It wasn’t long before I was traveling up Interstate 95 with a container filled with Macarons. She declared them “better than the ones I had in Paris” (She might be a little prejudiced). That was all the encouragement I needed! I have been making them, with much success, ever since. I hope that I will be able to de-mystify them enough for you to give them a try. They really aren’t very difficult and even the “flops” taste yummy. You can’t lose! I had tried so many different recipes and techniques that my head was swimming. What did I learn? I learned that most of what is written about the process of making French Macarons is just plain hooey! If you think about it, what bakery has the time to make something that is so unpredictable? It finally dawned on me that if a bakery in the damp basement of a 300 year old building in Paris can turn out beautiful macarons day after day, then I could do it too! And so can you! First I’ll tell you what you DON’T need to do. You don’t need to “age” your egg whites! I use pasteurized egg whites most of the time, any brand as long as they are 100% egg whites. You don’t need to let your macarons sit on the counter and develop a crust before you bake them. You don’t have to monitor the humidity level and only bake on a “dry” day. You don’t need to add your sugar gradually to your egg whites; just dump them into the bowl together. Now I’ll tell you what you MUST do. You must beat your egg whites long enough. You want a stiff, glossy, almost dry meringue. This will take about 7-10 minutes!! You must take care when folding your dry ingredients into your meringue. If you master those two elements, you will be successful almost every time, regardless of the recipe you use. I say almost because sometimes you will have a macaron (or 3) crack alongside a tray of perfect ones. I don’t always get cracked macarons but when I do they are often the last few that I pipe. My gut feeling is that it is because I have handled the piping bag so much the heat from my hand has broken down the egg whites. I have no scientific evidence to support that theory but it makes sense to me. I have made a video to help you make successful Macarons the first time you try. It is the first time I have ever made a video and, let me tell you, it was really hard! I’m not professional, but, hopefully, it will help you. Bake at 300 degrees for about 15 minutes. Check for to see if they are done by giving them a little wiggle with your finger. If the tops move easily, they are not done. You want them set but not firm. It’s better to be a little underdone than over done.